In 2018 we celebrate 100 years since Stuart Blanch was born. Tickets, which are free, should be booked here. Renewal through engagement with the past or how knowing a bit of history can assist Christian identity and mission in this post-Christian culture. Interested in discovering how Christianity spread in its earliest centuries, despite being an underground minority facing opposition and persecution? Or finding out what was its distinctive character in a Roman world of competing gods and idols? Then join us for this year’s Archbishop Blanch Memorial Lecture on 17th October. You’ll hear Rev Frances Young explain how by answering such questions it’s possible to find a renewed confidence in what we have to communicate and guidance on how to embody it. 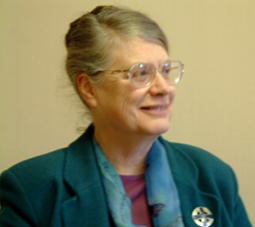 Emeritus Professor of Theology at the University of Birmingham, Rev Frances will uncover how this is a vital task for mission as we attempt to reconnect with a Western society where norms of behaviour and belief seem far removed from the Christian vision. Please join us for drinks from 6.30 pm in the area outside the back of the Chapel. You'll also have the opportunity to buy a selection of books from Liverpool Cathedral Shop. We are also delighted to announce that Hope University has reprinted the book 'World Our Orphanage: Studies in the Theology of the Bible' by Archbishop Stuart Blanch, which will be on sale at the Lecture for the reduced price of £5 (normal price £6). Professor Young shares the main themes of her lecture here.